In A McCashin v HMRC  TC06776 the First-Tier tribunal (FTT) dismissed an appeal against unauthorised payment charges on pension scheme withdrawals paid to Gibraltar. An unauthorised payment charge of 40% on the member. A further potential unauthorised payment surcharge of 15% on the member. Authorised payments are defined in law, all other payments are unauthorised. Payments direct to a member before their normal retirement age including loans are generally unauthorised payments. Mr McCashin was a member and trustee of a Self-Invested Pension Plan (SIPP) which owned several properties. In 2006 he emigrated to Gibraltar. He needed funds to meet residency status requirements and arranged for the SIPP to sell two properties with the proceeds of £571,792 being paid to him directly. He paid £193,375 in VAT owed by the scheme out of personal funds. Personal loans of £435,000 were repaid out of scheme funds. potential unauthorised payments had been made. 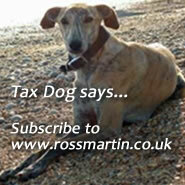 In 2010 HMRC opened an enquiry. In 2012 after issuing Schedule 36 information notices HMRC raised a Discovery assessment for unauthorised payment charges of which were adjusted following further enquiries to £452,675 of tax and £123,457 in surcharges. Mr McCashin appealed on the basis of that he was non-UK resident when the payments were made, they were for his retirement and he had been acting as SIPP trustee. The payments were unauthorised as they were not authorised under the legislation. Mr McCashin did not control the scheme, the funds were not his to do with as he wished. The discovery assessments were made within the 4 year time limit and were not stale. A prudent and reasonable person would have taken steps to check the position both before completing the tax return and immediately after receipt of the letters from scheme administrators. When can HMRC make an assessment out of time? Topical cases and the rules explained. An unauthorised payment simply arises when you pension invests in something that it should not, i.e. residential property, or when it makes a payment that is in contravention of the rules, i.e. it advances cash or a benefit to someone who is not of retirement age.